LAHORE: (Saturday, December 1, 2018): Punjab University Institute of Agricultural Sciences and Punjab Food Authority will collaborate to provide authentic information for nutrition education and awareness to the public through qualified nutritionist and dietitians. In this regard, a memorandum of understanding has been signed with between IAGS and PFA at Punjab Food Authority’s office. 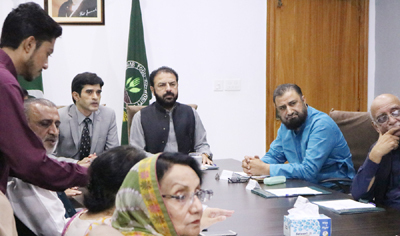 Punjab Minister for Food Sami Ullah Chaudhry, IAGS Director Prof Dr Muhammad Saleem Haider, PFA Director General Muhammad Usman, Department of Journalism and Media Studies Head Prof Dr Steen Steensen and vice-chancellors of the various universities in Punjab participated. The participants also decided to endorse the food & nutrition related information and content presented in print / electronic /social media whenever required by the Punjab Food Authority. Seminars and nutrition related programs will be arranged in collaboration with each other. Punjab Food Authority will provide internship opportunities to the nutrition students of IAGS, internships would consist of both community work and clinical work. 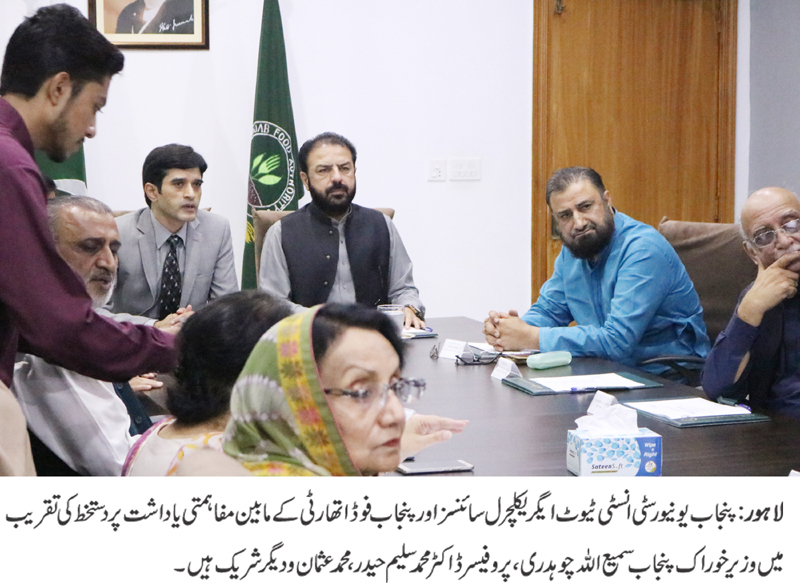 Dr Haider said that awareness campaign in the form of seminars had been started.